“She laughs without fear of the future.” Oh how I want that, I pray for that, and I work very hard to remember that God is in control of my future. Between this verse and my other favorite verse over at Philippians 4:6- . I will say them everyday, many times a day. God is in control of my future. He has a plan for me, for you, and for everyone on this Earth. All that he asks is our faith, and he will keep us on that path that we are meant for. Especially now, when I fully admit that I am full of fear of the future. All of the violence going on has my anxiety at an all time high. I fear for my children’s future. I fear a world more full of violence, than that of God’s love! “She laughs without fear of the future.” Finally I am starting to understand this verse. I used to believe that somehow this woman had learned how to not stress over life, how to live carefree but I don’t believe that is what the verse is saying at all. It is saying that yes, she has fears and worries. She worries if she is being a good mother, a great wife, or if the house is cleaned enough. She worries about all those things, but instead of focusing on them and spending too much time worrying about them, she knows that God has her back. She understands that God means no harm to her, and as long as she has faith in him that it will all work out-exactly as it is supposed to! That is the person I am striving to be. I am working hard on the process of following God blinding where he leads me, and laughing at the good things instead of harnessing all my energy on the negatives of this world. What does this verse mean to you when you read it? Do you find yourself having trouble with it? Are you a worrier? Let me know in the comments below! That's a great quote! What does the verse mean to me... hmmm.. 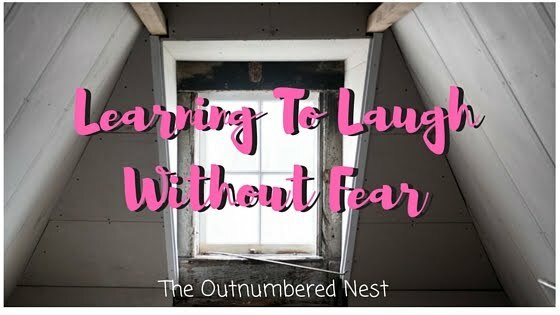 I think I see it backwards, "Without fear of the future, she laughs" because I feel like the fear is always there in some way or another but the, "Joy of the Lord is our strength" to move past it!